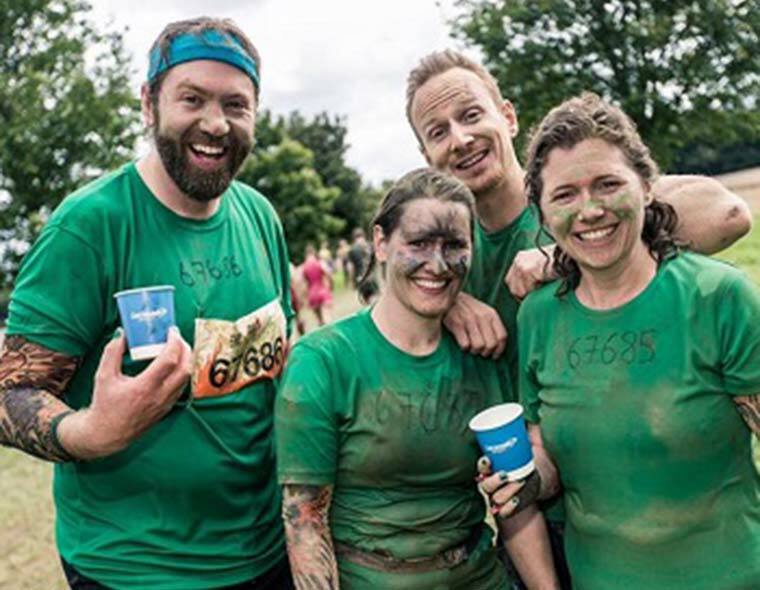 The BSO’s participation team successfully completed a 12-mile Tough Mudder obstacle course and raised over £1,500 for the BSO’s work with people living with dementia in acute hospital care. Team BSO completed a 12-mile Tough Mudder challenge designed by British Special Forces at Badminton that included 500,000 litres of mud and 40 tons of ice to raise money for the orchestra’s work with people living with dementia. “We were determined to train and complete this mental and physical challenge which is nothing compared to the physical, mental and emotional pain that people living with dementia and their families go through on a daily basis. Our aim was to raise awareness and funds to support the BSO’s ongoing vital work with people living with dementia. I have been honoured and humbled to witness the difference that music can make to the most vulnerable people when they are acutely unwell in hospital,” said Lisa Tregale, head of BSO Participate. The BSO’s ground-breaking ‘Music for a While’ launched in 2015 and is one of a number of the BSO’s ongoing projects that supporters have made possible through their generous donations. Music for a While has enabled the BSO to work with nursing staff and people living with dementia in numerous hospitals across the South and South West including Poole, Portsmouth and Winchester Hospitals and, from September 2017, Dorset County Hospital in Dorchester. Music for a While has continually demonstrated the power of music and its ability to improve the quality of patients’ lives whilst acutely ill in hospital. The programme has seen a reduction in the need to prescribe anti-psychotic medication, a reduction in the length of hospital stay and the wellbeing of the patients, their families and staff dramatically improve. The Music for a While project is delivered by BSO Participate’s Boost strand of work within the Arts and Health sector. Projects such as Music for a While provide valuable insights, as improving the care of people in hospitals and the community setting who are living with dementia continues to be a national priority. Thanks to partnerships such as this between the BSO and local organisations, the orchestra can continue to reach more people in the community and use music to change people’s lives for the better.